On Tuesday May 12th. 2017, 4 members of the Fort Lee Fire Department graduated from the Bergen County Fire Academy Firefighter-1 Class. 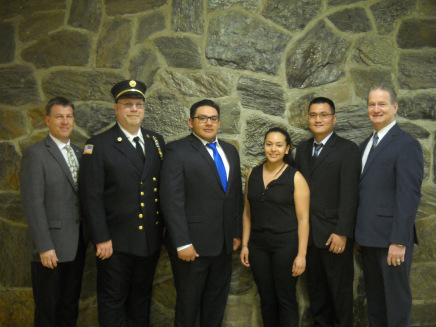 Congratulations to Boris Argueta, and Jason Ren of Company 3 and Samantha Betancourt and Jerrell Herior of Company 2 for their accomplishment!